Brigid P. Gallagher aspired to becoming a doctor but it was not her destiny. Instead she embarked on studies to become one of the first natural medicine practitioners in Scotland, eventually becoming a tutor for community projects, a woman's prison, and the Open Studies and Summer Schools of Stirling University from 1993 to 1999. In 1999, she relocated to Donegal, Ireland - the home of her ancestors. Four years later she succumbed to a mystery illness that was eventually diagnosed as fibromyalgia. "Stopping the World" forced her to reassess her life, and creative writing became a significant aid in her recovery. She eventually retrained in organic horticulture, worked in the glorious gardens of Glenveagh Castle, and inspired children and teachers to create organic school gardens. Brigid retired from teaching in the spring of 2016. 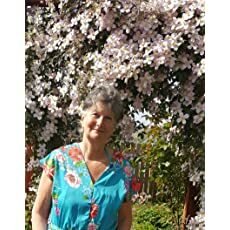 "Watching the Daisies - Life lessons on the Importance of Slow" is her inspirational, self help and travel memoir. Please enter your email address and click the Follow button to follow Brigid P Gallagher!